Julie Curry is the Manager of Systems and Resources at Kitchener Public Library. 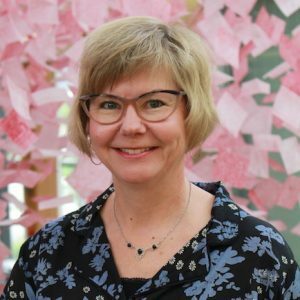 Julie received her MLIS from UBC and has worked in Peterborough and also spent 7 years in Saskatchewan in regional libraries and Saskatoon Public Library before coming to Kitchener in 2001. Julie’s favourite part of the job is bringing new and interesting things to the library’s collections, such as bike locks, hotspots and most recently, musical instruments, courtesy of the Sun Life Musical Instrument Lending Library Program.